Summary: For those, who love to pamper themselves away from the excess hot weather during your summer vacation at Vijayawada, the ideal place to visit is Manginapudi Beach. 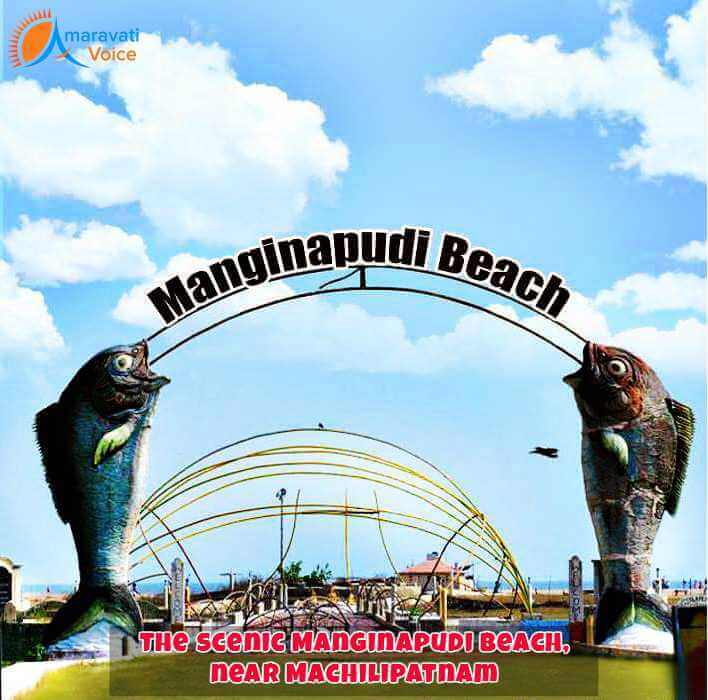 Manginapudi is actually a beachside fishing village and the beach here is also called by the same name. This beach is located at a distance of about 11 kms from Machilipatnam. Some years ago, the village in which the beach is located was serving as a port. Generally, we see a type of soil in all beaches, which will be light brown, but in this beach it is black soil. Magha pournami is a festival, during which pilgrims throng this beach to have a dip on the water and they consider it to be a holy dip on the Magha pournami festival. The popular dance form of Andhra Pradesh – Kuchipudi is taught in a dance school that is closely located near the beach. Every year, in the months of March or February, a festival called as Krishna Utsav is celebrated on the banks of Manginapudi Beach. Surrounded by river, sea and lake, this beach can offer an excellent spot for relaxation during summer for the tourists. It is not that they should visit this spot only during evening hours during summer, they can even plan their visit during a sultry afternoon and the breeze from the beach can relax them until it turns out to be dark to get back to their hotel rooms. Many trains are operated between Vijayawada and Visakhapatnam and when tourists take one of these trains, they can get down at Machilipatnam and once they reach the town, they can take auto rickshaw to reach the beach that is located at a distance of 10 kms. Even, tourists can take taxi services from Vijayawada to directly visit the beach. One the way to Manginapudi Beach, tourists can plan their visit to Chilakalapudi as a stopover. This is the manufacturing spot for imitation jewelleries. When you are at the beach during the time of sunset, you can find crabs running here and there to sand their homes for night. In addition, the Andhra Pradesh State tourism has arranged two resorts to provide boarding and lodging for tourist. Never forget to plan your visit to the light house, which stands as an excellent example for great construction. There is also a park with a fountain attractively laid and a temple for Lord Shiva to worship for the tourists. The shallow water is safe to play around for tourists and swimmers and skiers can also enjoy it to be the ideal spot for relaxation. So, rejuvenate yourself by visiting this spot and cherish the moments for your entire life.